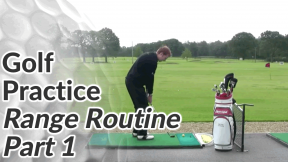 If you haven’t seen it already, here’s part 1 of this golf practice routine guide. 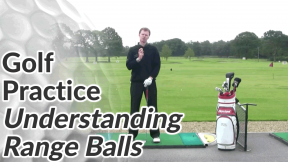 In this video, we’ll look at making each and every shot count during a practice session. If you do that on a consistent basis, you’ll need a lot less practice than you think to reach the standard of golf you’re aiming for. Become fanatical over your alignment. 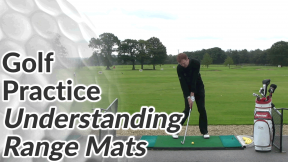 Range mats offer very strong visual lines, so I always recommend my students play with the alignment of the mat. However, if you want to play to different targets, it’s well worth placing a club along the line of your feet. 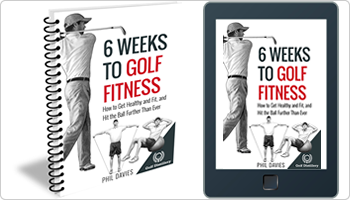 This is not just for beginners – you’ll see many tour pros do the same thing when they’re on the range. For each and every shot, run through your pre-shot routine. That typically means stepping back behind each ball to pick out your target, making a few practice swings and then hitting the shot. 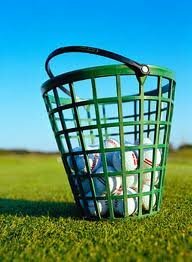 When you do this not only are you making your pre-shot routine second nature, you are practising the game of golf as it’s played on the course. 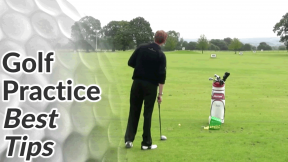 Take 2 practise swings before each shot. The first can be quite technical where you think about the various swing checkpoints and movements. 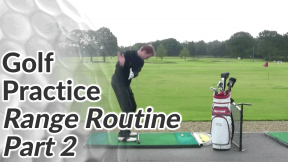 The second practice swing should be more fluid where you focus on your rhythm and tempo. An important part of making a good swing out on the golf course is being able to blank out swing thoughts while you stand over each shot. This requires practise as much as the physical elements of the game. After your 2 practice swings, when you come to hit the actual shot, use this technique to keep your mind focused only on the shot at hand (and not the technical elements of your swing). Remember again that quality of practice trumps quantity of practice every time. 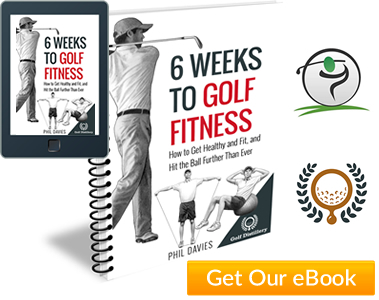 A session of 50 golf balls using the tips in this golf practice routine guide should take at least 30 minutes.